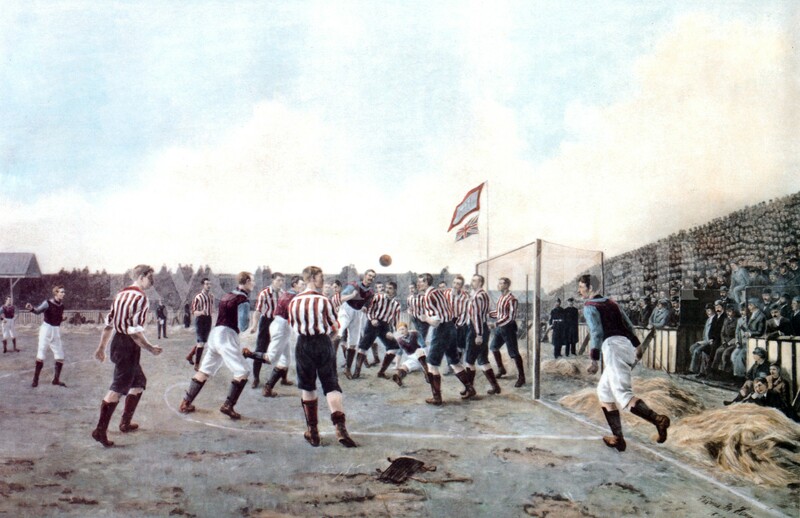 In celebration of Sunderland AFC’s third English league championship in 1894/95 the football club commissioned Hemy, a local North East artist, to paint a picture of the team in action and the game against Villa was the match chosen. 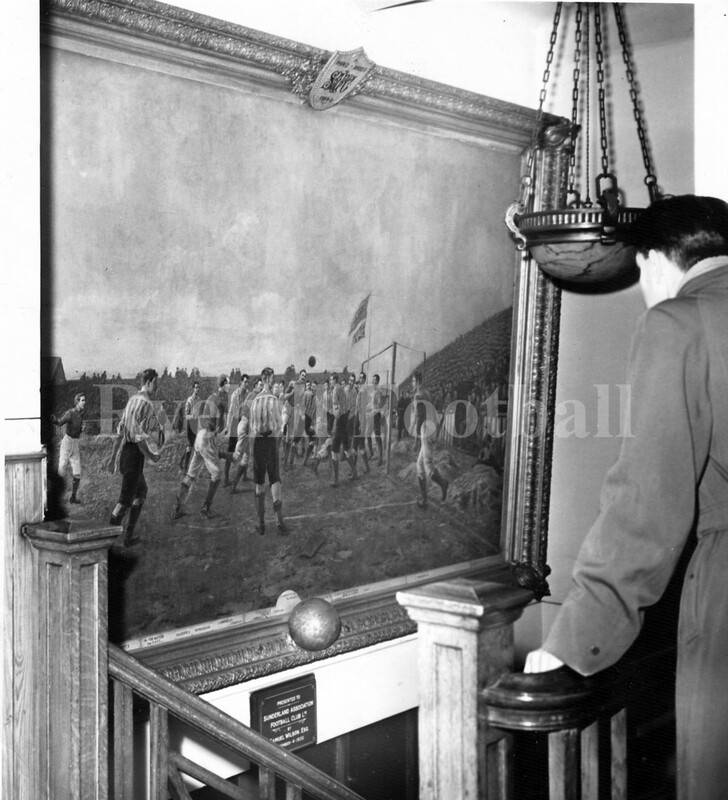 The painting has over the years had two titles; “A Corner Kick” and “The Last Minute – Now or Never”. This is the story of the match, the artist and the further history of this priceless footballing artefact. Both Sunderland and Villa at that time were huge clubs. A draw wherever they played and this meeting of the two sides was eagerly anticipated. Villa were the current league champions and although they had started their league campaign badly, including losing to Sunderland in the September, they had gradually climbed the table to lie just behind Sunderland who were top. With this in mind Villa were confident of winning and at odds of 6 to 4 appeared a good bet. The match took place on a Wednesday and Villa arrived on the Tuesday. They looked in the peak of condition. The weather was fine and much warmer than Tuesday although a strong North East wind was blowing. Meehan returned at right back for Sunderland and Johnstone moved to left half with Auld dropping out. The pitch was in pretty fair condition with a sprinkling of snow on it and the crowd of around 12,000 was bigger than that of the New Years Day match. Sunderland won the toss, took advantage of the wind and Devey kicked off for Villa.The game itself was a thriller, 4 v 4, with Villa taking the lead after quarter of an hour. Nip and tuck all the way it was generally agreed that a share of the spoils was a fair result. 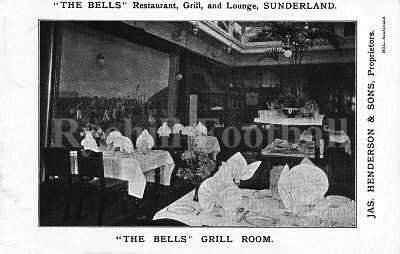 It was subsequently reported in the June 1898 edition of the Sporting Mirror that: “The annual meeting of the Sunderland Football Club has been fixed for the 29th of this month. 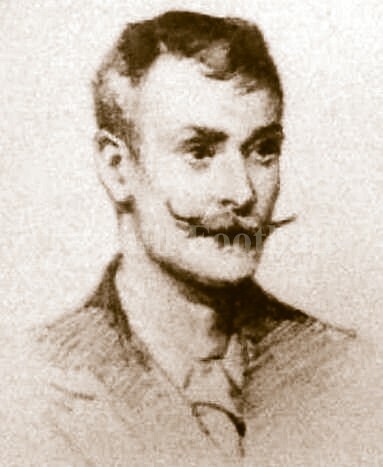 The officials have purchased the painting by Tom Henry (sic), representing the cup tie (sic) between Aston Villa and Sunderland in 1894 (sic) and also the artist’s supplementary proofs. Both the painting and the proofs they propose to put up as a prize drawing for the benefit of the funds of the club”. Then on Monday 15th September 1997, Sunderland revealed that the famous painting by Thomas M.M. Hemy which has been on loan to Sunderland Museum and Art Gallery since 1990 was returning home to the Sunderland Stadium of Light. We do know that the painting had been in a state of disrepair and the Sunderland AFC Supporters Association raised an alleged £8,000 to have the painting repaired. Latterly a rumour emerged that the supplementary proofs referred to in the minutes of the 1900 Annual Meeting turned up at the SAFC Supporters Association. It was alleged that they were then bought to the attention of and bought by one of the Directors of Sunderland AFC. I know who the Director is but I’ll not reveal his name. The “Marie” was in due deference to the Catholic Church of which his father was a devout member and the “Madawaska” in homage to the ship that Thomas was born on. The ship Madawaska was registered in Canada and named after a river in Ontario. His sea birth was due to the family emigrating (temporarily) to Australia, leaving Liverpool in late 1851/early1852 bound for Sydney Harbour. That is perhaps then no co-incidence given all of this that Hemy’s brother (Thomas had 9 brothers and 3 sisters) Charles Napier Hemy would become one of the finest British maritime painters to have lived, a talent that was to be passed on to Thomas. All the family had a love of the sea and the Arts; Hemy’s Father Henri was an accomplished musician. Back in England a substantial amount of Thomas’s time was spent at the mouth of the Tyne River painting boats or inspiring paintings of shipwrecks. 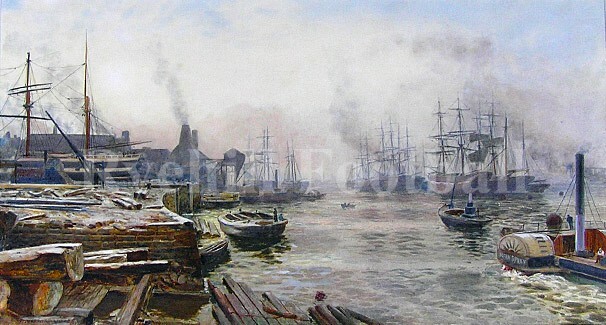 Perhaps his most famous work being “The Wreck of the Birkenhead”; another “Winter on the Tyne” is shown above. 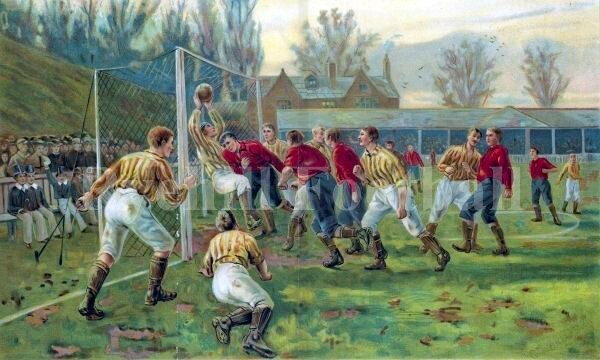 However he also gave us masterpieces such as “The Eton Wall Game”, “Goal!” painted in 1882 and of course “The Last Minute – Now Or Never”.